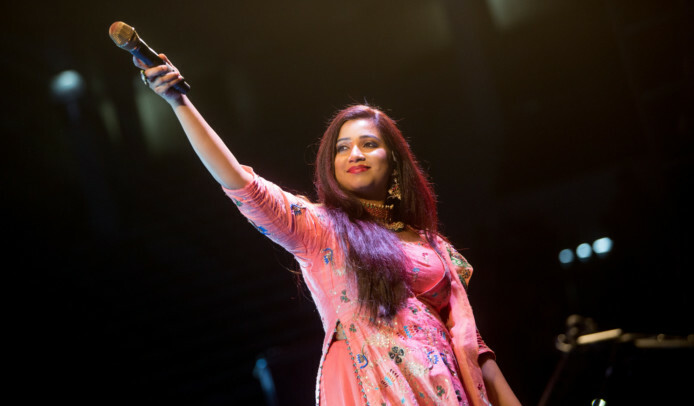 Award-winning Bollywood singer Shreya Ghoshal will return to the UAE for a concert at Bollywood Parks Dubai on March 29. Since her debut in 2002, Ghoshal has sung hit songs featured in films such as ‘Devdas’, ‘Om Shanti Om’, ‘Padmaavat’ and ‘Bajirao Mastani’. She has received four Indian National Film Awards, six Filmfare Awards and many more accolades. Tickets to Ghoshal’s show are priced Dh49 including half-day access to park, rides and attractions. Full day park access tickets are priced Dh99. The Bollywood-themed attraction at Dubai Parks and Resorts features some of the greatest Bollywood blockbusters, chances to meet movie star look-a-likes such as Shah Rukh Khan or Amitabh Bachchan and street performances showcased every day. Go to bollywoodparksdubai.com.